This salad is a perfect appetizer or brunch dish with which to celebrate the beginning of summer. 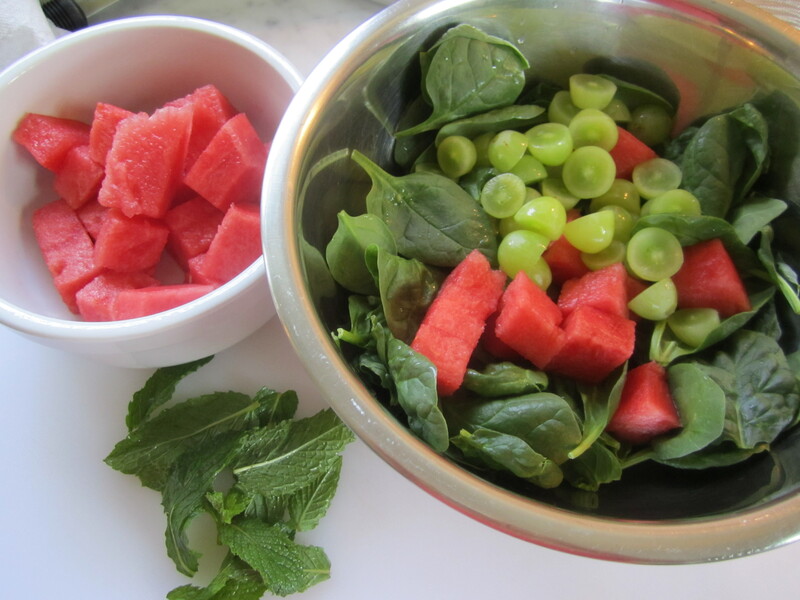 The sweet/ tart combination of watermelon with red wine vinegar and agave is a very light and cleansing combination. The feta adds some saltiness and richness to all of the light and bright flavors. 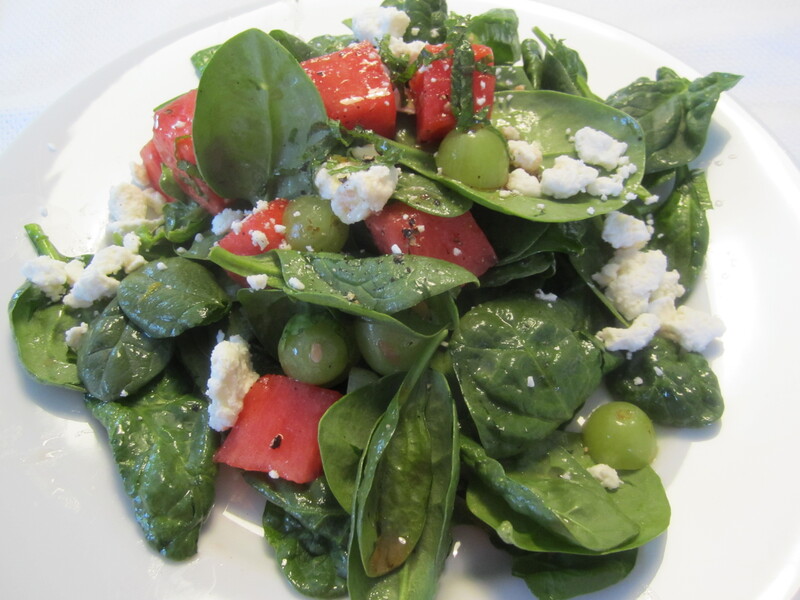 The watermelon is cubed, then combined with baby spinach and halved grapes, then topped with the vinaigrette below. After dressing, sprinkle each plate with some crumbled feta and more black pepper. 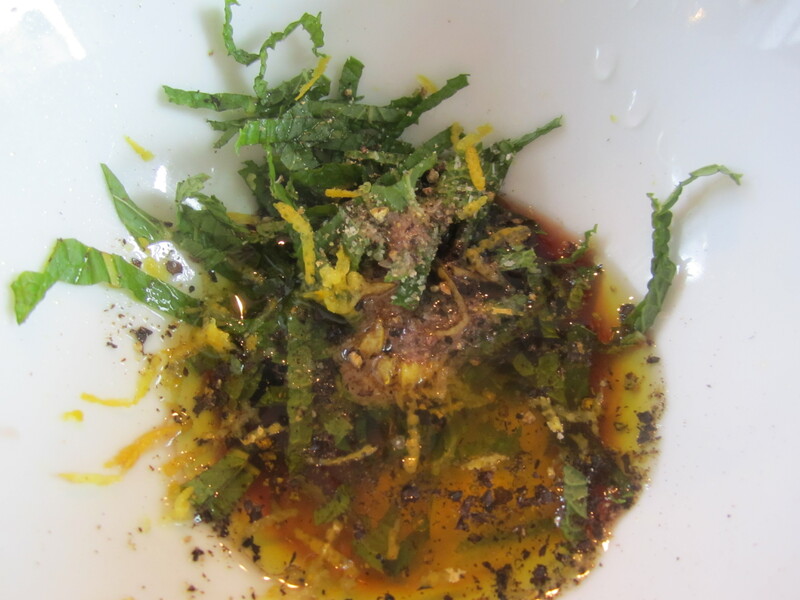 Stir the dressing in a bowl, then top the greens and toss.